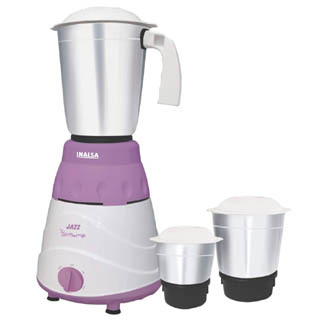 There are many brands in the market which are offering the mixer grinder at cheap prices but here we have enlisted the best mixer grinder available in the Indian market under the price of 2000 rupees. All the mixer grinder here belongs to different brands so you can choose your favourite brands machine. 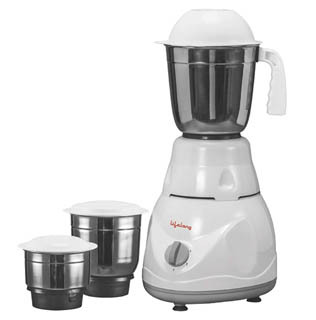 Without talking too much let's discuss about each machine falls under the category of Best Mixer Grinder under 2000 Rupees. 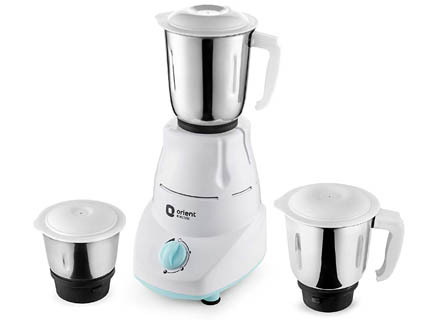 Orient is a well-known brand for making many kitchen appliances. Here Orient Electric Kitchen Kraft MGKK50B3 500 Because of the powerful motor the Product Operating Noise Level is 80 Db although the Mixer Grinder industry-wide acceptable levels are 80-90 DB. The 500-watt high-performance copper motor has enough power to mix and grind the raw material poured on it. It has Specially designed nickel blades for super fine grinding. The jars are Extra thick for longer life and heavy duty grinding. There is a Flow breaker in jars for fast and effective grinding. It also has 3-speed control with incher for effective performance. 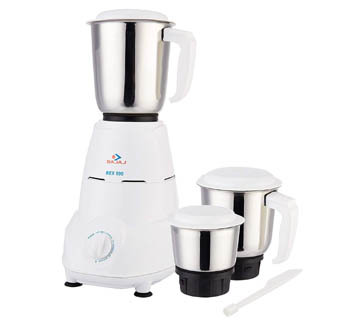 It is one of the best value for money mixer from the Bajaj. Is has different Sturdy stainless steel jars for liquidizing, wet/dry grinding and chutney making. And these different jars have different capacity, 1.25 Litre liquidizing jar, 0.88 Litre multi-purpose jar, and 0.3 Litre chutney jar. To run the machine according to the material there is 3 speed control with incher for momentary operation and it also has a Multi-functional blade system. Lifelong is a well-known brand for household appliances. This brand offers decent products relatively at a lower price. Lifelong Power Pro 500-Watt Mixer Grinder is featuring a 500-watt high-performance motor with motor overload protector. In the product box, you will get 3 sized Jars - Liquidizing jar (1.25 Litre), Dry or wet grinding jar (0.8 Litre), and Chutney jar (0.5 Litre). The thickness of jar is enough for making it run for long life and there is Flow breaker in jars for fast and effective grinding. To monitor effectively, the machine has 3 speed control with Pulse. The Operating Voltage for the machine is 220 - 240 volts. Note: Most of the mixer grinder release a smell. Don't worry if you experience some burning smell when you run your machine for the 1st time because motor varnish getting heated for the 1st time.